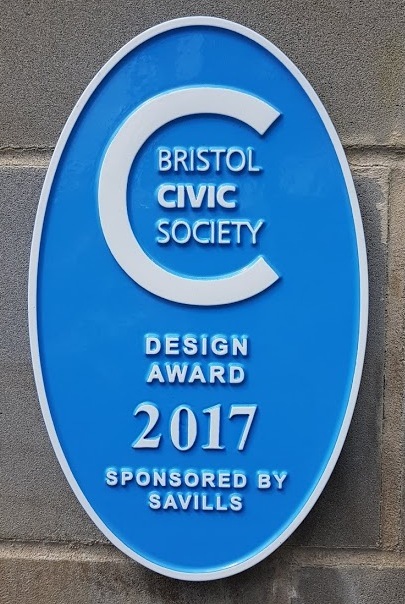 Bristol Civic Society runs two prestigious annual award schemes. The Design Awards recognise developments in Bristol which make a positive contribution to the local environment through excellence of design, while the Student Award is presented to a final year student of Architecture and Planning at the University of the West of England for outstanding work. The Civic Society has made awards for many years, celebrating good quality design – buildings, transport projects and improvements to the public realm. There are three fundamental criteria. Nominations must be made for projects completed during the preceding two years; located within the City of Bristol; and visible from a public place. In 2015 the Civic Society joined forces with the Architecture Centre and the Junior Chamber of Commerce to create a partnership for assessing award nominations. The awards are sponsored by Savills, chartered surveyors and development specialists – for which the Society is very grateful. There is a clear timetable for the Awards. Nominations are sought by the end of February each year, with assessment taking place shortly afterwards. The presentation of Awards takes place in early June. 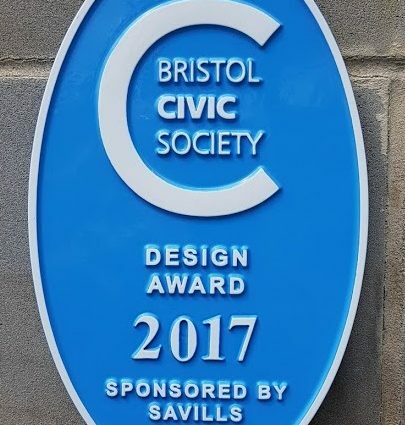 Please send nominations to Simon Birch, the chair of the Society, preferably by email to: awards@bristolcivicsociety.org.uk. You should also contact Simon with any questions you may have. The Society is currently finalising the information which will be required to accompany a nomination. But we certainly need the address, and ideally the name of the owner and architect. Each year Bristol Civic Society makes an award (a money prize currently of £250) to a final year student of Architecture, Planning and including Environmental Engineering if taken, at the University of the West of England for outstanding work.